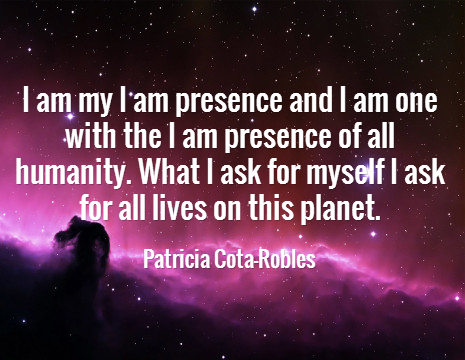 In this episode, Sri and Kira delve into universal spirituality with Patricia Cota-Robles. She has communed with divine messages and celestial beings for over 20 years. She and her partner has travelled throughout the world spreading messages of reassurance and connection. Her web site, EraofPeace.org, aims to give humanity greater clarity and understanding as it progresses to wondrous and extremely challenging times on Earth. Polarization is at an all-time high. America is in the highest state of polarization in their history. Opinions are being accepted as facts. Sizes are being labelled. There seems to be an energization of polarity around dogmas, religion, politics, etc. This is the perfect time to embrace universal spirituality. 2014 is a year like no other. We’ve reached this frequency where we are being accelerated at warp speed beyond the greatest expectations of heaven. We are definitely moving forward into the light. Unfortunately, this is what’s also causing the chaos in the outer world. This increased vibrational rate is causing the growth of polarity in the world. The higher energies that are pouring on the planet are pushing out anything that conflicts with divine love, reverent for all life, oneness of life, and divine life into the surface to be healed. Every malady that exists on earth – pain, war, poverty, etc. – is caused by the absence of love and reverence for oneness and divine life. But here’s the truth: There is a duality. The duality is not good or evil, nor is it harmony or discord. The duality is the radiance of the outbreath of light and power from the masculine polarity of our father god and the cohesive inbreath going into the great silence of the divine love of the inbreath of our Mother God. The duality is the inbreath and outbreath of god. We need to realized that anything that is creating human suffering in any form is a human miscreation. 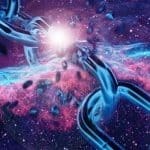 Humanity is co-creating suffering and a lot of tragic connections. We have a habit of doing this. It’s deep into our psyche. But it has stop now. Here’s how: You have to live your presence. People talk about worrying about their family and friends. But that’s just talk. If you anchor the love, if you become a living presence spreading love and oneness, then you inspire others to do the same. It’s not our words that can inspire others, it’s our presence . Technologies that people are desiring to see in the planet all exist. However, because of man’s distorted perception of duality and separation, we have developed these alter egos that perceived the physical body as all that we are and the physical plane as all that exists. So it’s function is to do whatever it needs to do to survive – lie, cheat, steal, kill– to satisfy the physical body. This is similar to energy companies jumping on new technologies and preventing its development because it needs to protect it’s own interests. As we return to the path of love, to the path of oneness, new energies will explode that will make current technologies obsolete. We are one. There is no separation. Our personal life is a microcosm of the macrocosm. Our life, our problems, are part of the collective mass consciousness. We don’t have to solve all the problems of the world.,col. What we need to do is recognize that as you work to heal and transmute your own life, you lift the world with you. It’s a powerful frequency that is the balance of the outbreath of the father god and the inbreath of the mother god. The Violet flame of god’s infinite perfection is going to be the most influential energy throughout the next 2000 year cycle in the age of Aquarius. And it’s a tool that anybody can use whenever they start thinking of negative thoughts or start worrying. Just know that everybody is doing the best they can with the knowledge they have and release all worries and negative thoughts to the violet flame to balance the energy.